When you start searching for a canopy or tent, the vast amount of information available for the various types of tents and related products can quickly overwhelm you. There are instant canopies, party tents, garden canopies, camping tents, and many others. It can be hard to know which one you need. So if you're suffering from a little bit of information overload, this guide will help you in narrowing down your search. Because canopies are so often used for outdoor parties and events, they come in a variety with a multitude of names. There are so many that it can be hard to tell the difference between them. Below, you will find some basic information about each type. It doesn't get much more user-friendly than with pop up canopies. They can be easily set up and taken down by a single person extremely quickly. No tools are required either! Transporting them is also a breeze. Very light for their size, it's not unusual for models on the smaller size to weigh as little as forty pounds! They also fit in the trunk of an average car when collapsed, compact and ready to be taken anywhere. Many also come with carrying bags for extra convenience. However, that doesn't mean pop up canopies are the right choice for every situation. That praised ultra-light construction and simple set up make them less durable and susceptible to extreme weather. They also don't stand up to being left open for long periods, even for a few days. There are some heavier duty models, such as the Monster line by Caravan which provides a heavier, more durable pop up. On the other hand, these waterproof canopies are also cumbersome and require extra time to expand and put away. 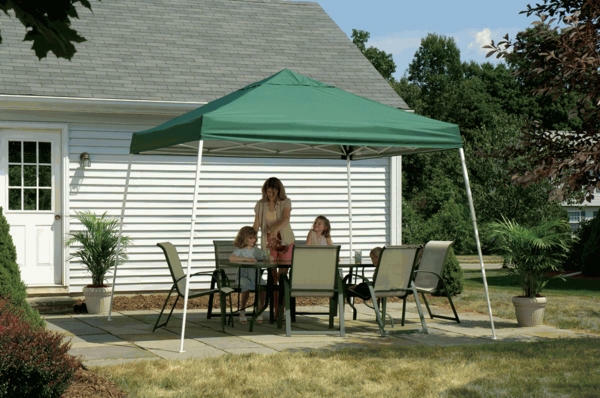 Overall, instant canopies are the best choices when portability and ease of use outweigh the importance of durability. Stronger than their instant counterparts, pole tents use center and perimeter poles, as well as stakes or anchors, to stay stable. They are more suited to long-term use, due to being heavier than instant canopies but still lighter than other heavy-duty event canopies. However, despite being heavier, they are still relatively quick and easy to set up. 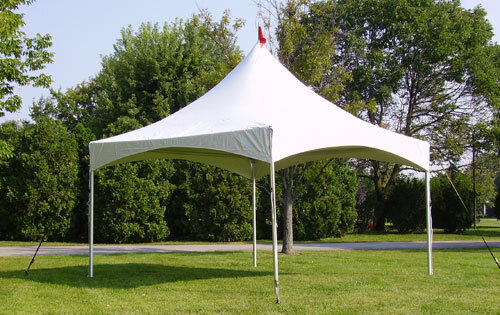 With probably the largest range of all party tents, finding a shelter with the look you want is typically fairly easy. Many manufacturers offer tops in a variety of colors, as well as different sizes to be right for small, personal events or large corporate celebrations. Pole tents also provide an extremely cost-effective way to shelter areas, making them particularly popular for tent rentals. There are a few downsides to using a pole tent though. Due to the use of stakes, they can't be installed indoors or any location that won't permit full anchoring. Side clearances are also a concern, sometimes needing as much as six feet per side. This makes it very difficult to use next to a building or structure. The center pole can also impede visibility and certain layouts. If the center pole and location limitations won't be a problem for you, then these might very well be the best type of tent for your outdoor event! Looking at a tension canopy, you might wonder what the difference is between these and pole tents. While it's true they are similar in structure and other characteristics, the main difference between them is the height of their peaks. Also known as "high peak" tents, tension tents feature much taller peaks. This gives them a more dramatic look and makes them more aerodynamic, allowing them to be perfect for formal events while also providing increased wind resistance and drainage. Ideal for long-term use, many models can even be permanent structures. But, similar to the pole tent, the center pole of these tents are a limitation. They also cannot be used indoors or too close to existing structures. Certain layouts are an issue for these tents as well. Aside from these limitations, this tent could be the answer to your tent needs! Frame tents avoid the structural limitations of pole tents by using tubular metal structures to support their canopies rather than tension from stakes. Consequently, they do not need the same large clearances, making them much more suitable to be next to buildings as well as indoors. They also do not requite center poles, making them ideal for events that necessitate an open layout and complete visibility. In order to accommodate the flexibility of installation, you will have to consider the downsides of this type of tent. Slightly more expensive and heavier than their light-weight counterparts, they also require specific hardware for their more complicated set up. The result of this is a conclusion that frame tents are best suited for permanent installation where the higher cost and more intricate installation are not an issue. If you're looking for any additional information on these canopies or canopies for specific purposes, we have several canopy and tent related guides to assist you. For more information about tents specifically for parties, we recommend our Ultimate Guide to Party Tents, which will provide information about each type and the benefits of each. Or, if you already know you want an instant-style canopy, take a look at our Fast And Easy Guide to Pop-Ups to learn more about your options. Much like party tents, storage shelters have a variety of names and uses. Instant sheds, portable carports, instant garages, and portable boat and RV shelters are all considered part of this classification. These storage shelters can, and do, protect a variety of items. You can find the right one to shelter vehicles, industrial equipment, outdoor supplies, and even livestock! Or, if you are looking for an outdoor shelter that multitasks, a storage canopy can double as a party tent! If you need more information about selecting the right shelter for storage, our Portable Garage and Carport Buying Guide can assist you in determining what you need and find a shelter that meets those needs. Most outdoor shelters are designed for generalized purposes. Even party tents, created almost exclusively for outdoor recreation and entertainment, can be utilized for many different types of events. On the other hands, other are specialized for one main purpose. Here is a bit more information about some particular shelters. For many, if you mention a camping tent, they visualize a traditional A-frame tent like you might see on TV. However, there are quite a few different types that are better suited to a different type of camping. Some of these include dome-shaped, house-shaped, and tunnel-shaped tents. If you're interested in more information about these, please refer to our Camping Tent Buying Guide. Protection from insects and sun are two key features of the screen house. Enjoying the outdoors doesn't mean having to deal with the bright sun or pests anymore! Screen houses sometimes come designed like party tents, meant for home and casual use. Others are portable and much like a rugged tent for camping. Some even attach to the side of your RV. You can browse through our available Screen Houses to see what best suits your needs today! Play tents for children come in all sorts of shapes and sizes. There are models that resemble castles or cars or have an animal theme! Ball pits and built-in games also feature in some of them. Designed to inspire creative play for children, these can be used indoor or out. Just keep in mind they are not intended for rugged camping use. Unlike other shelters, there aren't too many things to consider when choosing the right tent for a child. Budget and the child's interests are the main points. However, always make sure your selected tent doesn't have any exposed metal or poor ventilation! When you go camping, make sure your pet has a great tent just like you! Taking your pet along on your outdoor adventures has never been easier. These do not have the same variety of regular camping tents either. With the main factors being visual appeal and proper ventilation, it's easy to find the right one for you. "Wait a minute," you might be thinking, "aren't all tents and canopies meant for the outdoors?" You are correct. Technically, almost all tents, canopies, and other shelters covered in this article are intended for outdoor use. However, the "outdoor" in this case is a way for manufacturers to label their products. All kinds of party and storage shelters are listed this way. Only the camping and children's play tents are not labeled this way. They are, of course, intended to be used outside as well, but many companies have them in their own specialized categories. Sidewalls can enhance weather protection, privacy, as well as ensure the safety of the belongings you are storing inside, turning them into fully enclosed structures. Usually, the shelters in this category come packaged with sidewalls, though some brands have separate sidewalls that you are able to add at a later time. This is an affordable option versus having to construct a full shed or entertaining area. You should be advised that the type of shelters that have this as an option are limited. 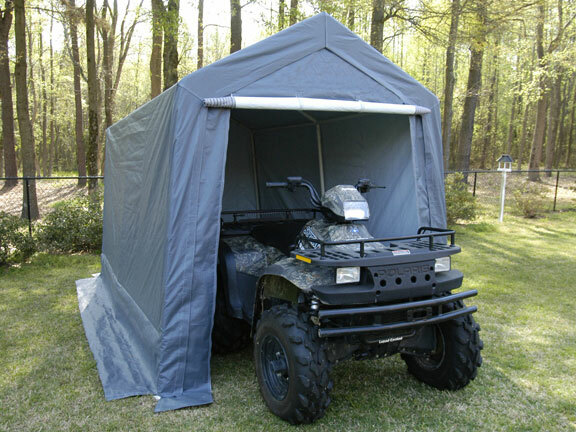 Most packages contain pop ups or portable garages, though you will occasionally find a small pole or frame tent set as well. Many will tell you that the small selection is worth it for the headache it avoids with anything more complicated. This type of tent grouping can seem a little confusing. All canopies are designed to be portable, right? Some are just easier to move and store than others. They also tend to be relatively light for their size and easily assembled. Due to their increased portability, most tend to be on the small to medium side. Pop up tents, garden canopies, portable garages, and portable carports all fit into this category. As with many classification of tents, there are no official guidelines on what makes a structure a garden canopy. Some manufacturers use this designation to identify products with an emphasis on aesthetics and features to enhance your outdoor space. These often also have options for valences or built-in bug screens. 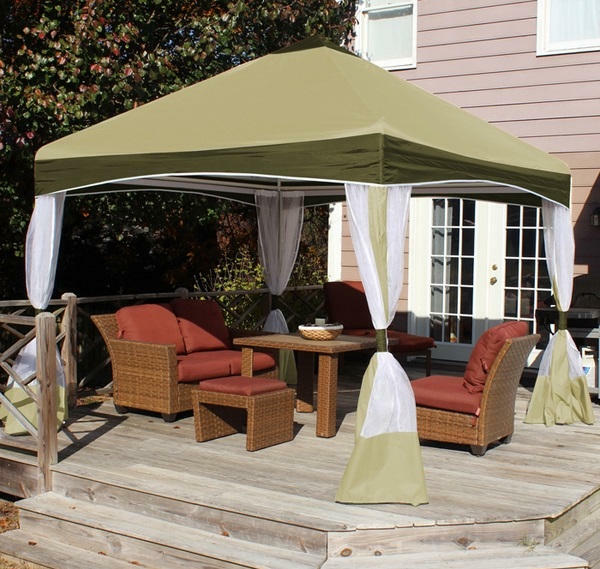 Other manufacturers consider any tent or canopy that improves your outdoor living space a garden tent, which means you'll find portable garages and carports, as well as shade sails in this category. Shade canopies are often considered very close or the same as garden canopies. 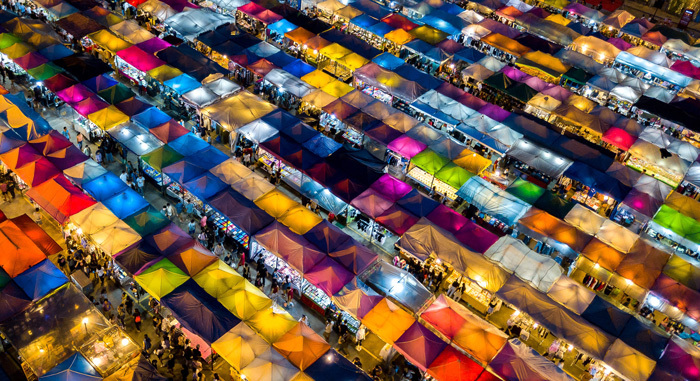 Many of the same types of tents and canopies are part of both categories. One of the simplest types in this category is the shade sail. These are pieces of material that are secured to trees, parts of your home, or other structures to create shade. With no tools required, the set up is very easy and perfect for travel or situations where you need short-term shelter. However, they lack the same kind of rain and wind protection as more traditional shelters. Now that you know the basics of each type of canopy, your search for the perfect tent or canopy should be easier. Continue the research on which types interest you and what fits your criteria. Be sure to consider the uses your shelter will provide, budget, effort required, and how much space you have for the shelter. These are all critical to finding the right canopy or tent for you. If you're still feeling a little overwhelmed, please consider speaking with one of our knowledgeable customer service representatives. They will be more than happy to assist you in the selection. Dani is a passionate writer with a thirst for knowledge. 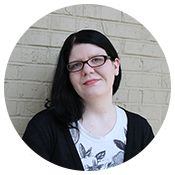 When she isn't writing, she is still usually found at her computer, either playing video games with her husband, creating digital art, or looking for something new to learn. Dani also likes reading, one of her favorites being Lord of the Rings.